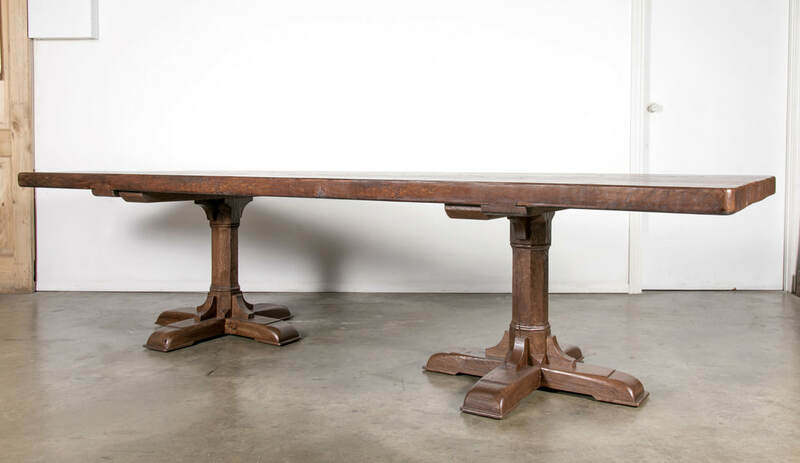 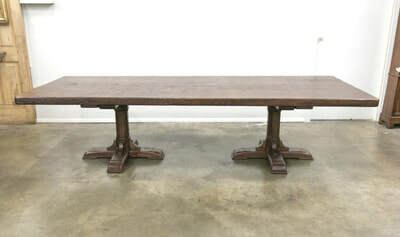 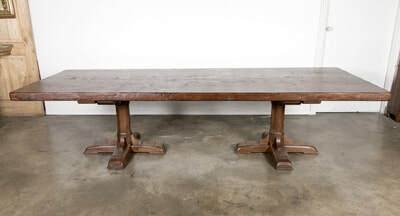 Copy of an 18th century French farmhouse table that we assemble in our Birmingham workshop. The 3-inch thick old growth oak top imported from France is exceptionally wide and is over 100 years old. 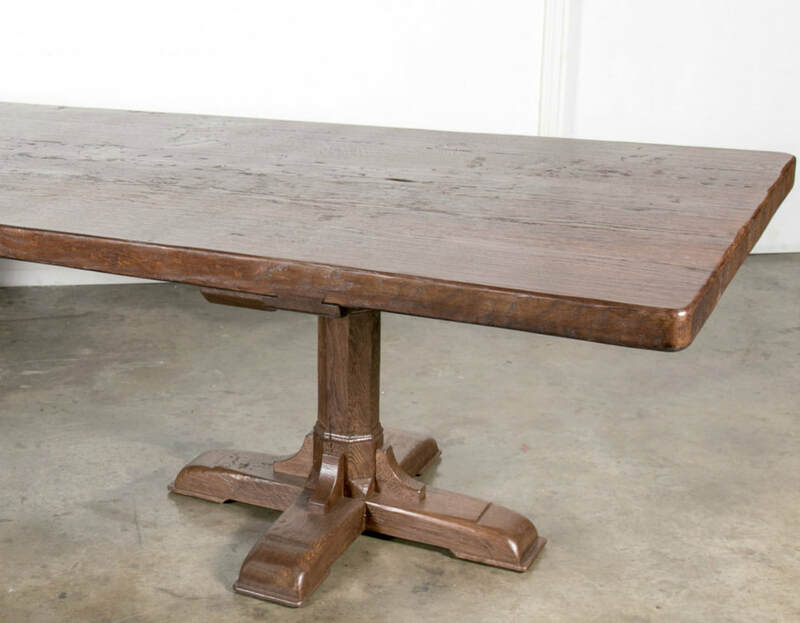 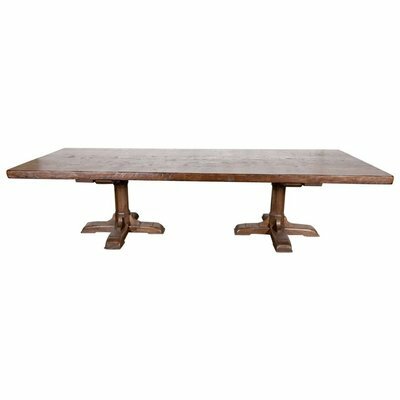 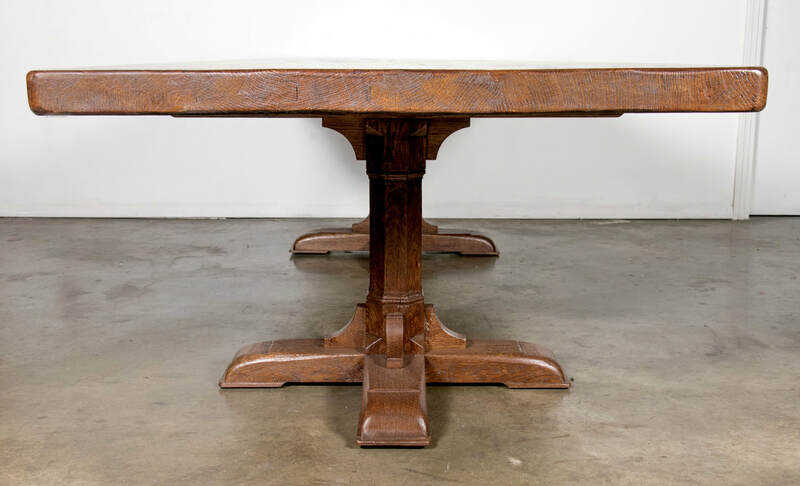 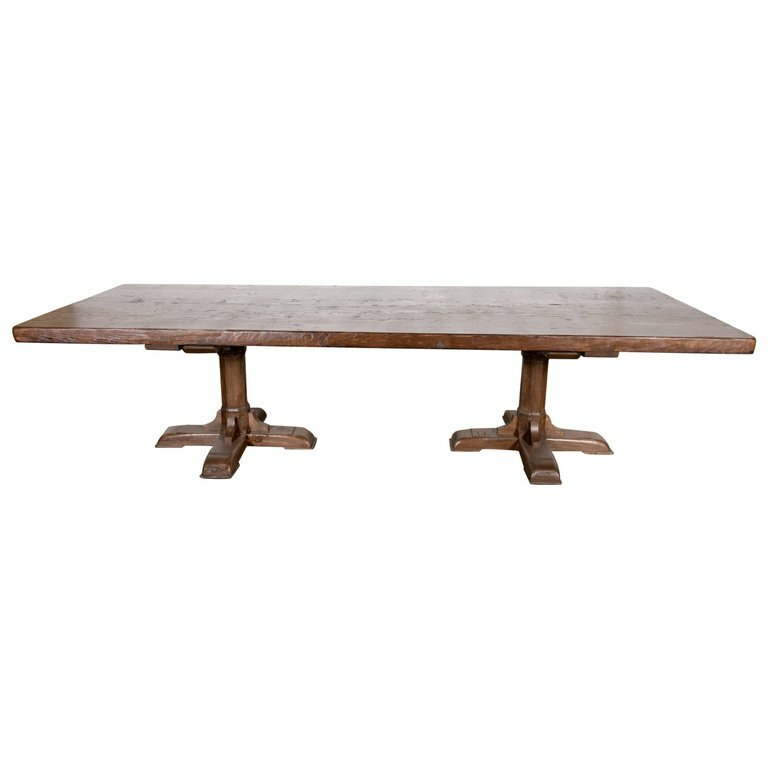 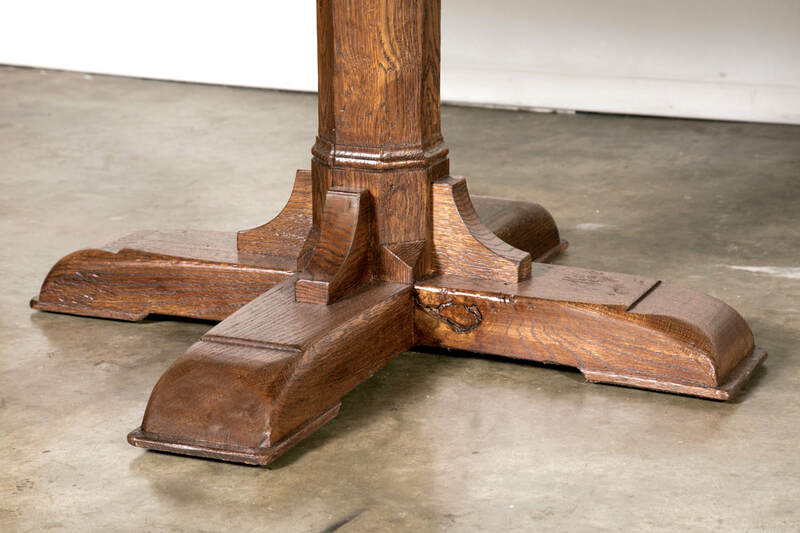 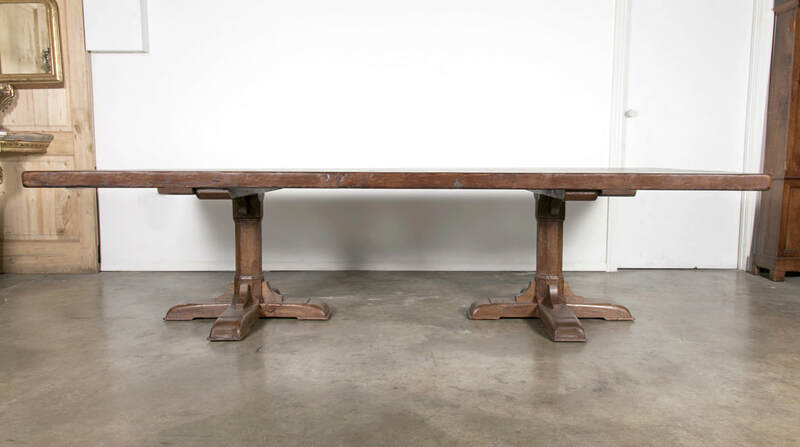 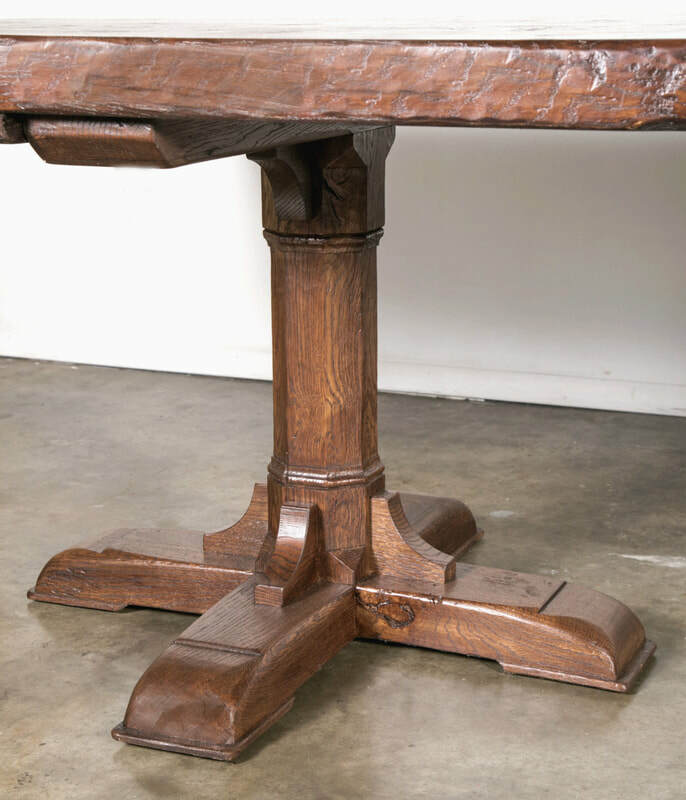 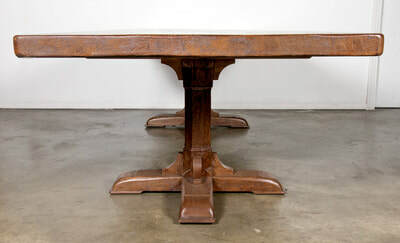 The double pedestal bases are made from centuries old oak barn beams. This table is 10 feet long and comfortably seats 10 to 12. 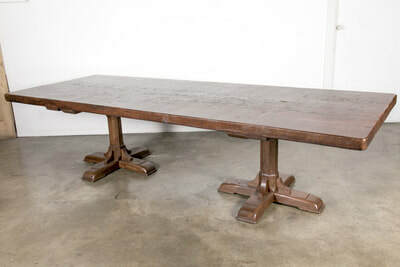 We also have a 12-foot table available that seats 12 to 14.